Create PRC Palm OS self-expanding installers. Is there a better alternative to Nutshell? Is Nutshell really the best app in System category? Will Nutshell work good on macOS 10.13.4? 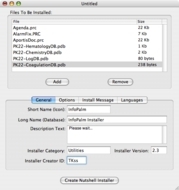 Nutshell creates self-expanding installer PRC files for distributing Palm programs and data. With Nutshell there is no longer any need to distribute multiple PRC and PDB files when distributing Palm software. Just create a Nutshell self-expanding installer. After sending the installer file to any Palm device, users can just tap to install. 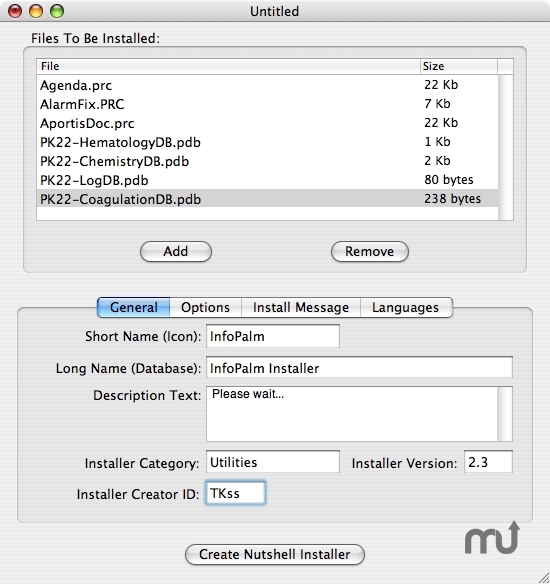 After the installation is complete, the Nutshell can delete itself and automatically launch your program. When a forced soft-reset is required, the sysAppLaunchCmdSyncNotify launch-code will now be sent before the reset alert dialog box is displayed. The installation process will no longer force a soft reset after installing a database that already exists in ROM. Nutshell needs a review. Be the first to review this app and get the discussion started! Nutshell needs a rating. Be the first to rate this app and get the discussion started!